The combination is the freedom of the customer, and the restaurant is characterized by the choice of favorite dishes in the mood of the day. but I want to choose the one I like on the day. which I would like to recommend to such a customer. You can choose your appetizer, main, and dessert from multiple menus to enjoy your favorite dishes. 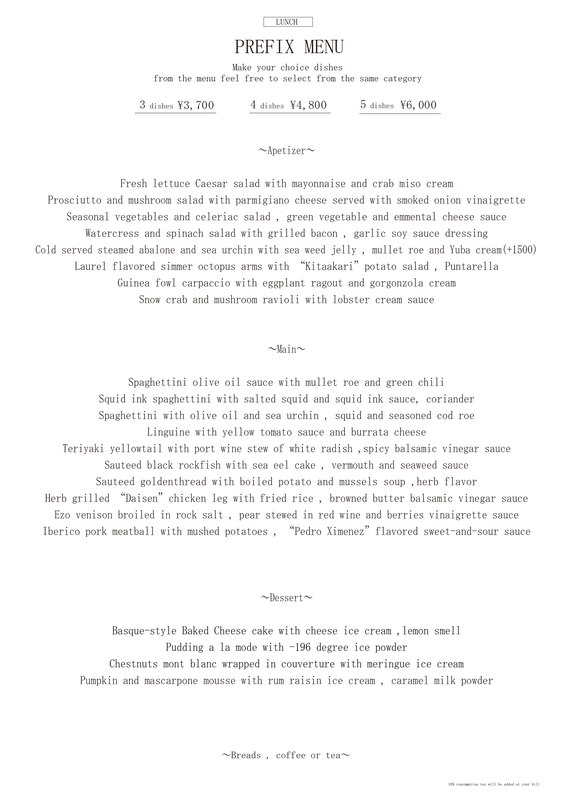 Choose your preference from the options below for each course (appetizer, pasta, entrée, dessert). 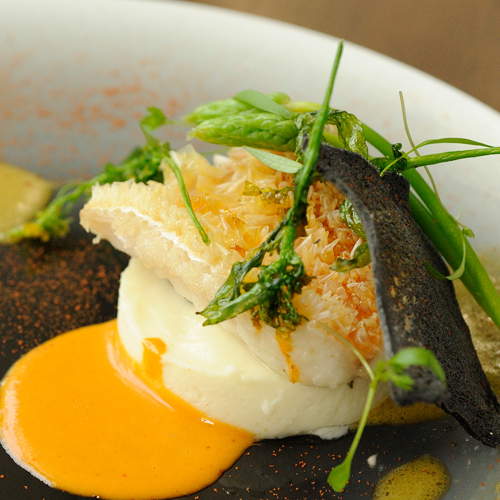 Combine the courses to create a meal that's perfectly suited to your taste. *Please inform us of any allergies or dislikes at the time of making your reservation. *Depending on the state of arrival, the contents of the menu may change. *Pasta and salad lunches offered on a first-come, first-served basis. in order to serve up a unique dining experience. 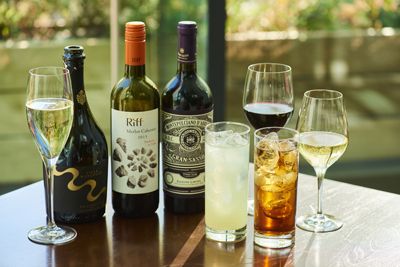 Choose freely from a variety of sparkling, white, and red wines, focusing on carefully selected wines from leading Italian producers. 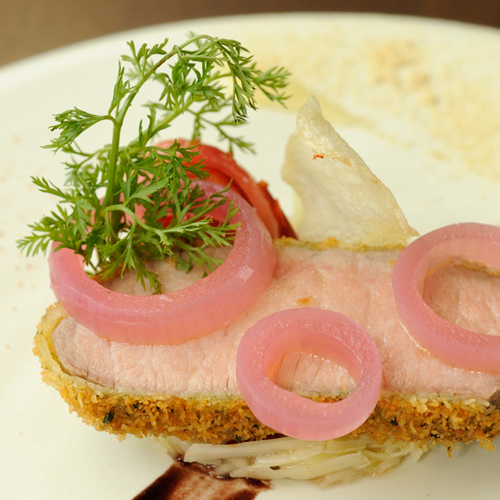 Our concept is based on cooking with fresh ingredients. 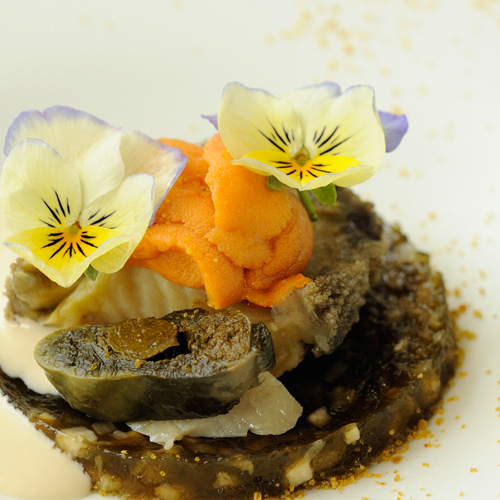 That means first finding the right ingredients, then harnessing their flavours to create new tastes. We focus on Italian seafood dishes that allow you to savor the taste of fresh fish and shellfish sourced directly from producers. Inside the elegant red-and-black restaurant, enhanced by the greenery below the stairs and sunshine streaming through the windows at lunchtime, you'll forget you're in a building downtown. Overlooking water and beautiful greenery, with a refreshing breeze blowing from the grounds of the nearby Imperial Palace, the patio provides a relaxing, resort-style ambience. In the evening, the sunlight gives way to candles flickering on each table. 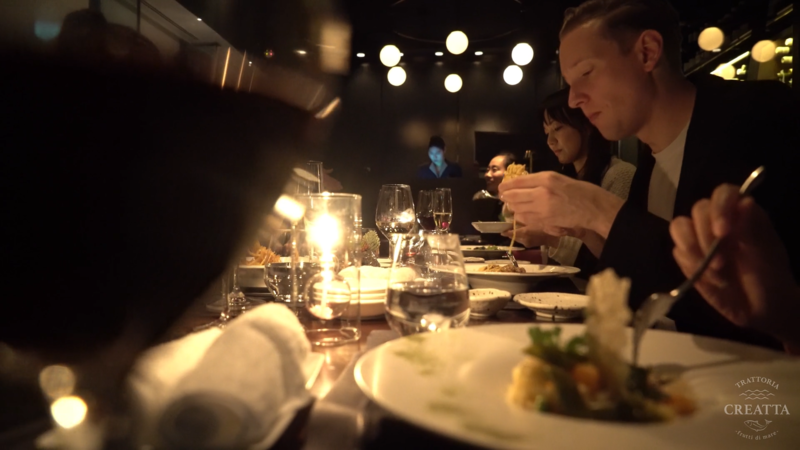 You can choose to dine either at an open-style table or a more private, intimate table, depending on what kind of occasion it is. 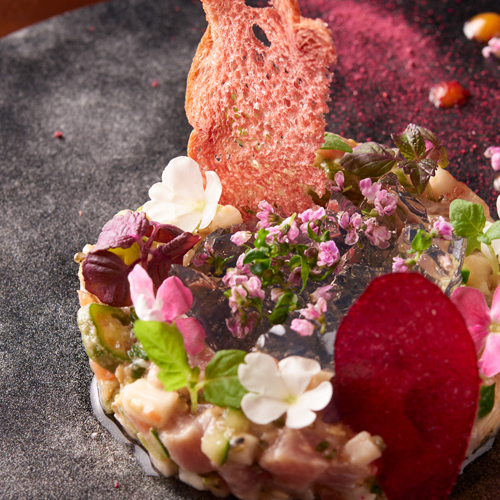 With exclusive dishes featuring fresh ingredients, a customizable menu, and unlimited high-quality wine, Trattoria Creatta is a new approach to dining that enables you to create your own personalized restaurant experience. 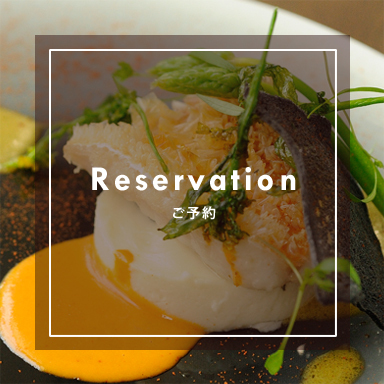 Reservations may be made by phone or online. Phone reservation hours: 10 a.m. – 10 p.m. 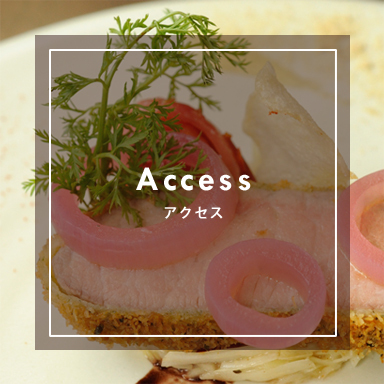 Accessible directly from Otemachi subway station Exit D6 (5-minute walk from Toei Mita Line or Tokyo Metro Chiyoda Line; 15-minute walk from Tokyo Metro Hanzomon Line, Marunouchi Line, or Tozai Line). 15-minute walk from JR Tokyo Station. *On Sundays and holidays, the front entrance of the building is closed for security reasons. Please go to the side entrance to the left of the first-floor main entrance. We apologize for the inconvenience. You can already book for welcome party. An urban oasis along the green lush Imperial Palace and Wadakura moat. How about a welcome reception party in a special place that is only here? 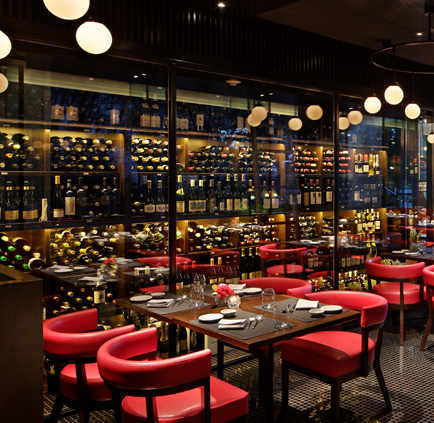 We also have plans for Italian wine to enjoy with free flow. 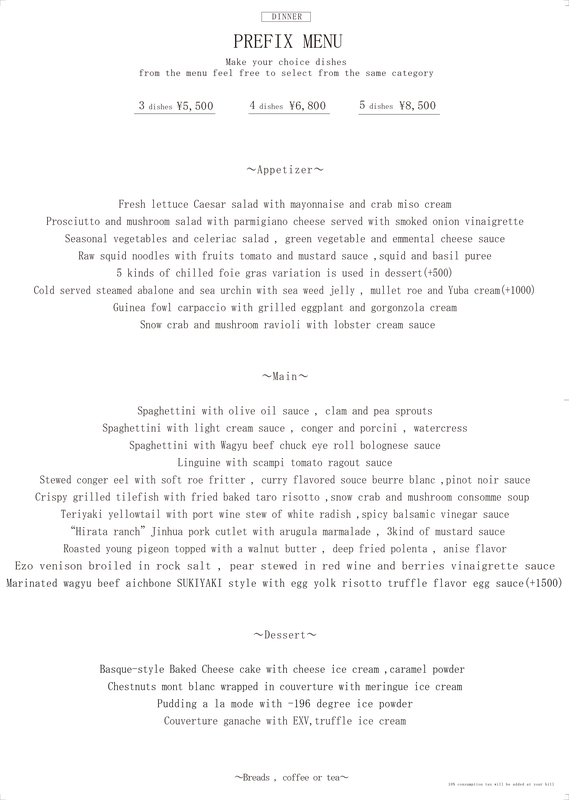 Please enjoy along with the prefix course you can choose your favorite dish. We can also accept private parties for sitting and standing. Please feel free to contact the restaurant for details. 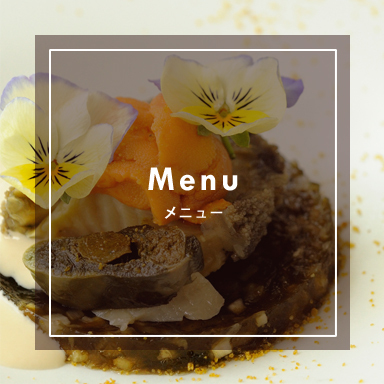 I started TRATTORIA CREATTA official Instagram. 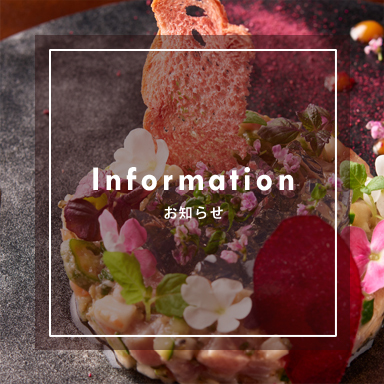 We have uploaded menus, ingredients, event information etc. Please follow me. Click here for press-related inquires about Trattoria Creatta.